Do you want to know what's better Huawei P20 Pro or Huawei P20 ? You'll get the answer on this page! SpecsPRO has compared Huawei P20 Pro vs Huawei P20 : camera, battery, screen size, resolution and other important specifications. The Huawei P20 Pro has better rear camera specs which makes it a better buy for those who want to capture high quality pictures. The Huawei P20 has 4K UHD (1080 x 2244 pixels) display resolution with 429 ppi pixel density which is more high in compare to the P20 Pro 4K UHD (1080 x 2244 pixels) display resolution with 408 ppi pixel density. It makes this model a better choice for reading books. 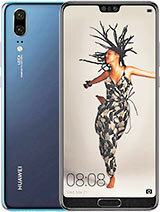 The Huawei P20 model weight 165g which is 15g lighter in compare with the weight of the P20 Pro. The P20 is equipped with a 3.5mm jack which is the most popular way to connect headphones for listening music. The P20 Pro has a better battery life as it is equipped with 4000mah battery which is 600mah bigger than the Huawei P20 cell. That's mean this model can be used for a longer time without charging. The P20 Pro and the P20 have an equal number of advantages but as the P20 Pro has better rear camera which is a really significant advantage then this model will be the best buy. Get the lowest price on Amazon . Huawei P20 Pro and Huawei P20 comparison will help you to understand what smartphone will be the best purchase. By the way if you don't know where to buy these phones you'll find the list of the offers on their pages. 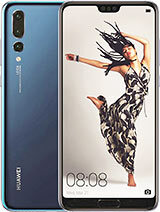 Besides Huawei P20 to Huawei P20 Pro compare specs of other mobile phones easily.